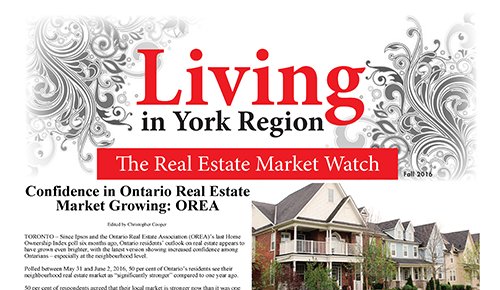 Greater Toronto's source for real estate news, neighbourhood profiles, new developments, and helpful information for buyers, sellers, and agents. 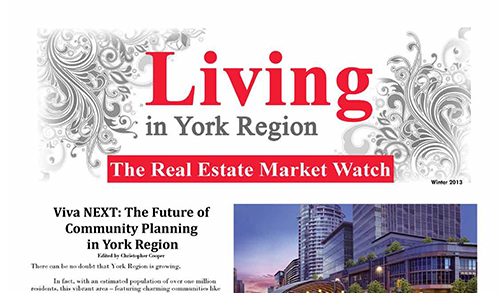 Living proudly publishes five free, locally-focused community newsletters: Living at Yonge & Bloor, Living in York Region, Living in Markham, Living in Mississauga, and Living in North York. 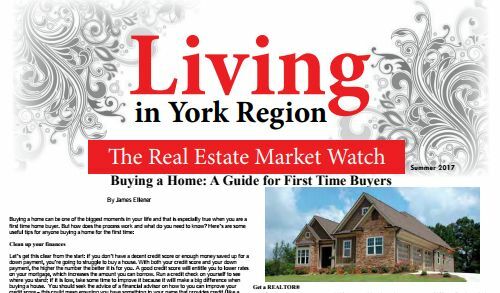 To browse our digital archive, simply use the left and right arrows below. 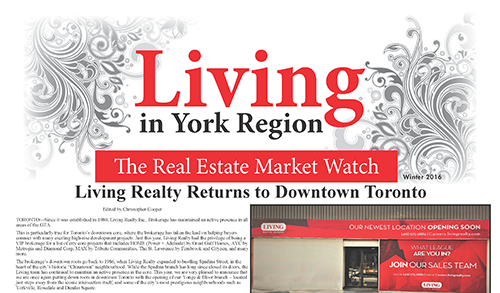 We take a look at Living Realty's newest branch, located at Yonge & Bloor in the heart of Toronto. 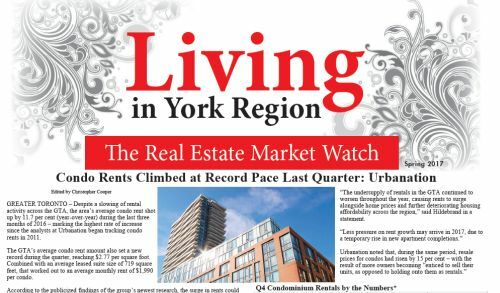 We take a look at the results of an Ipsos Reid poll that surveyed Ontarians on their confidence in the real estate market. 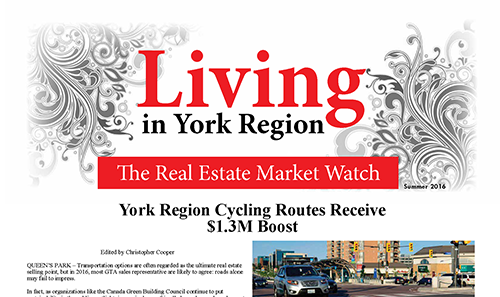 Details on York Region's newly-announced investment in cycling and pedestrian paths. 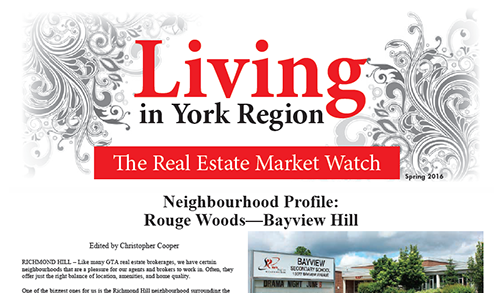 A look at the established Richmond Hill neighbourhoods of Rouge Woods and Bayview Hill. 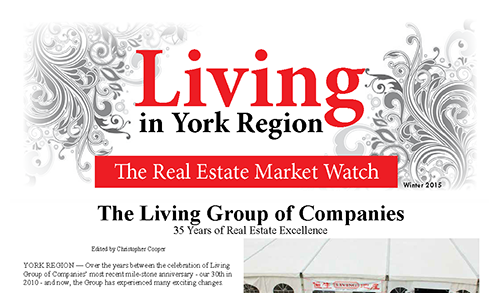 The Living Group of Companies celebrates its 35th anniversary with a special gala. 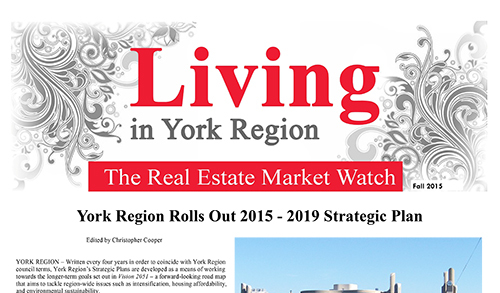 Featuring highlights from York Region's newly released 2015-2019 Strategic Plan. 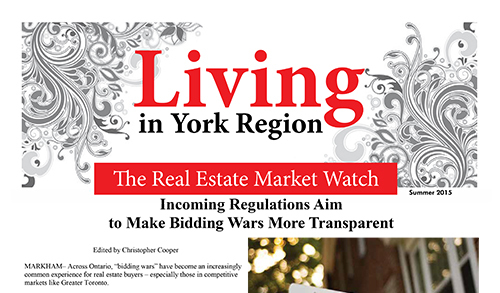 We explain some upcoming key changes to the Real Estate and Business Brokers Act (REBBA 2002). 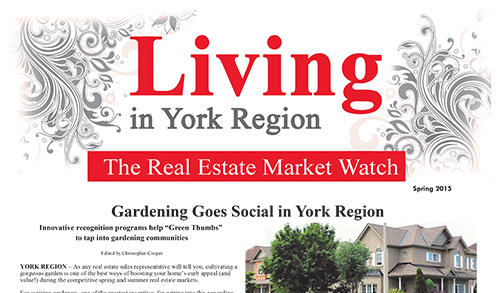 Our spring edition takes a look at online gardening initiatives in Richmond Hill and Markham. 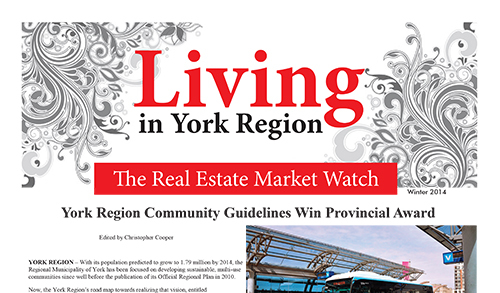 An overview of York Region's newly award-winning road map, "New Community Guidelines." 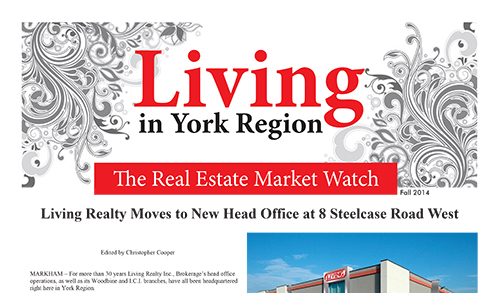 A tour of Living Realty's brand-new head office location at 8 Steelcase Road West in Markham. 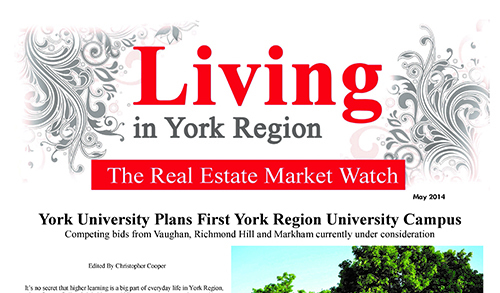 A look at York University's plans to establish York Region's first university campus. 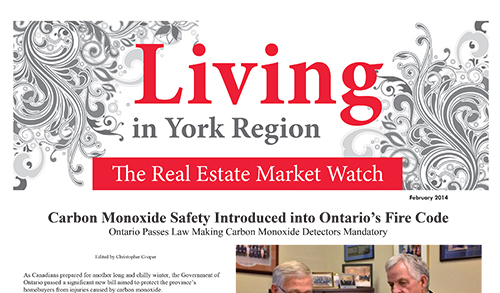 We go over a new law that mandates having working carbon monoxide detectors in every Ontario home. 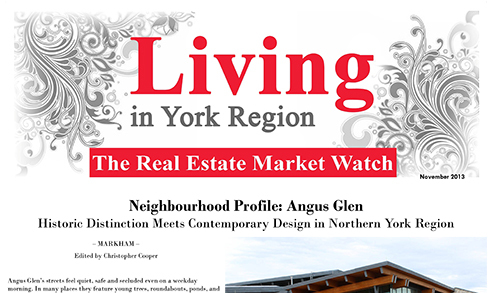 We tour Angus Glen, one of Markham's most rapidly growing master-planned communities. 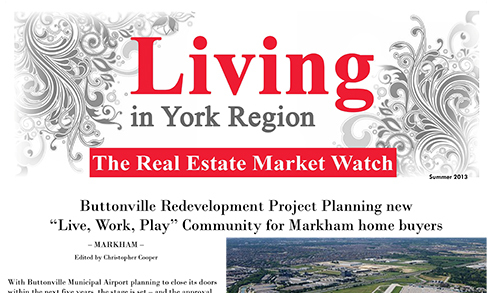 A glance at future redevelopment ideas for the current site of Unionville's Buttonville Airport. 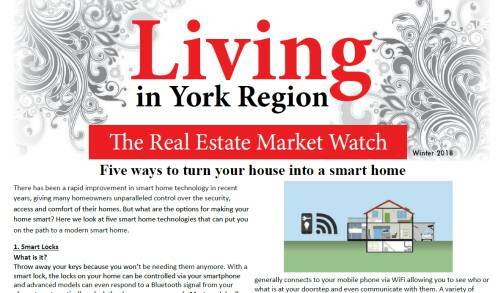 We take a look at proposed additions to York Region's transit infrastructure under the "Viva NEXT" initiative. 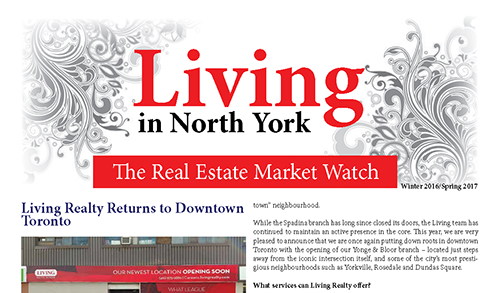 Living at Yonge & Bloor's first edition goes over the details of our brokerage's newest branch in Downtown Toronto. 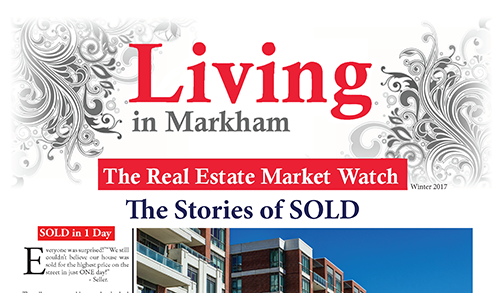 "Stories of Sold" presents real estate transaction tales from some of our agents and valued clients. 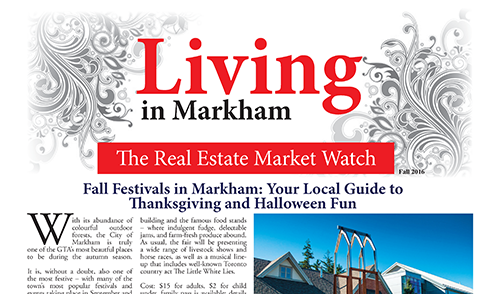 A guide to family-friendly Thanksgiving and Halloween events around the City of Markham. 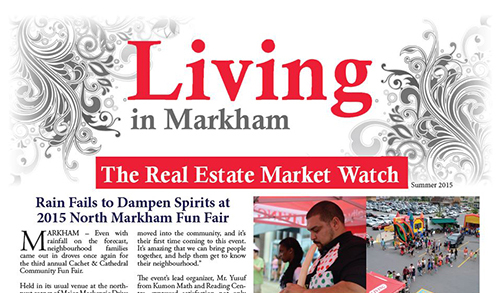 Highlights from the North Markham Branch's annual Summer Fun Fair. 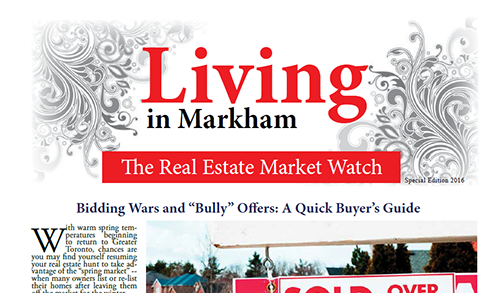 A real estate buyer's guide to bidding wars and "bully offers" in Ontario. 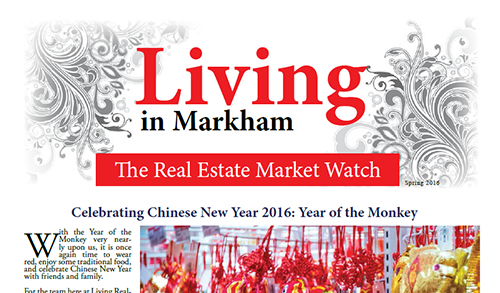 Our complete guide to welcoming in the Year of the Monkey in the Chinese Zodiac. 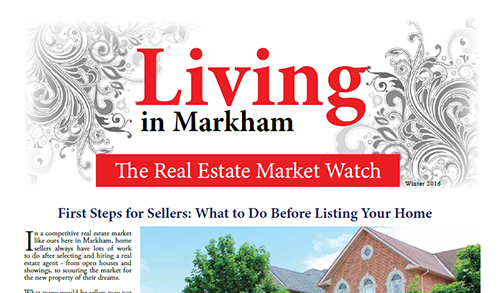 A guide to preparing your home for listing during the competitive spring market. 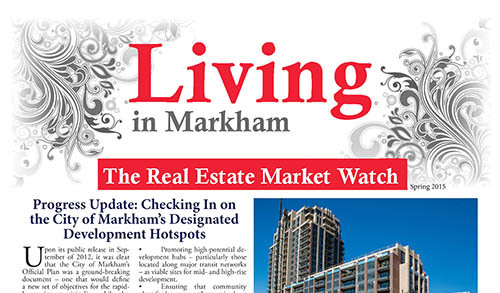 A tour of Markham's Mount Joy neighbourhood, including new high-rise condo projects. 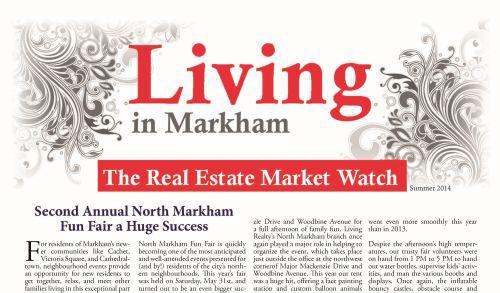 Highlights from the highly successful third edition of the North Markham Annual Fun Fair. 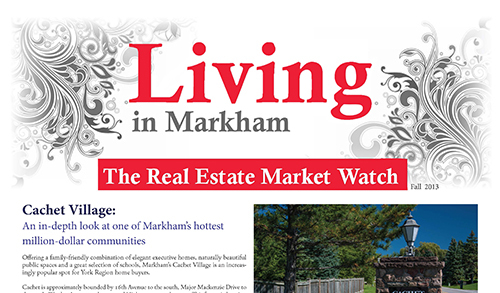 We check in with neighbourhoods earmarked for high-intensity development by the City of Markham. 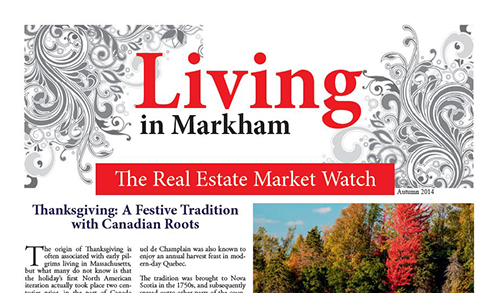 A glance at the history of Canadian Thanksgiving, and at Living Realty's new head office in Markham. 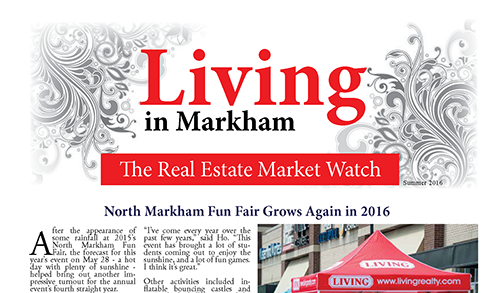 A recap the day's action at North Markham's second annual Fun Fair. 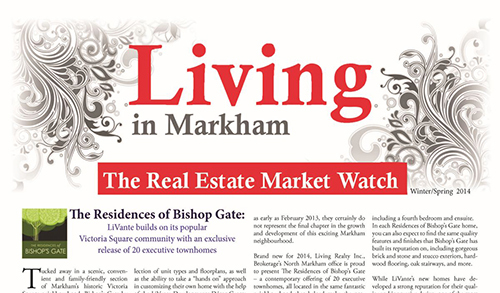 We preview LiVante Developments' newest addition to North Markham: the Residences of Bishop's Gate. 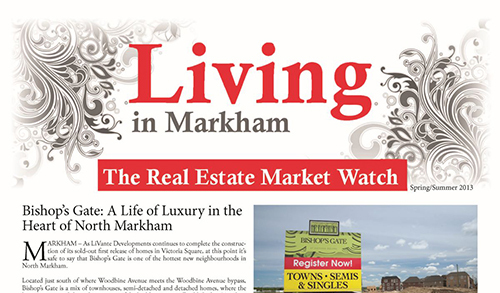 An in-depth look at Cachet Village, one of Markham's top communities for high-end homes. 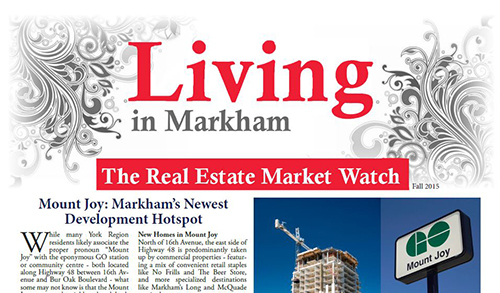 Our look at the brand-new Bishop's Gate community includes an interview with LiVante Developments' Morris Durante. 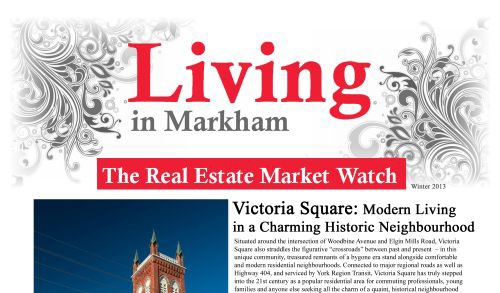 Living in Markham explores the historic and rapidly-growing neighbourhood of Victoria Square. 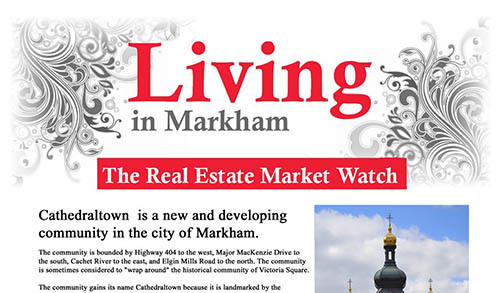 A neighbourhood profile showcasing North Markham's Cathedraltown community. 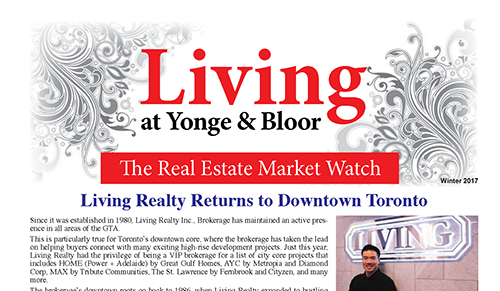 We provide all the details on Living Realty's newest branch at Yonge & Bloor. 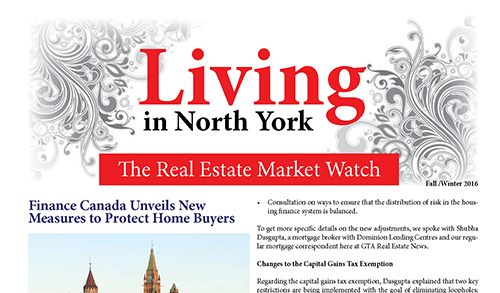 We take a look at Finance Minister Bill Morneau's newest adjustments to Canada's housing and mortgage regulations. 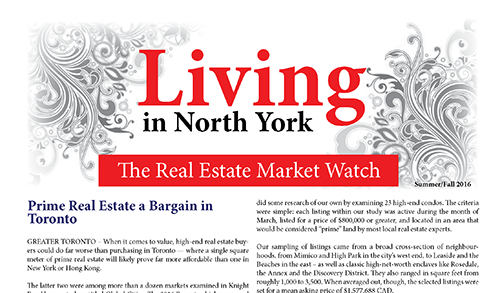 We ask the question: how much luxury real estate could you buy with $1 million in Toronto? 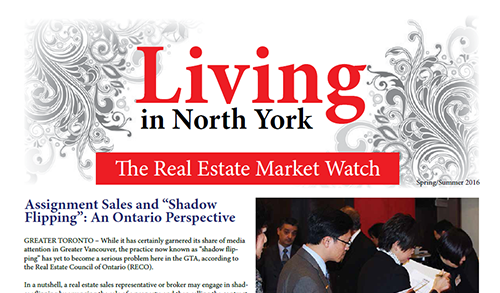 We look at regulations in place to protect Ontario home buyers from "shadow flipping" practices. 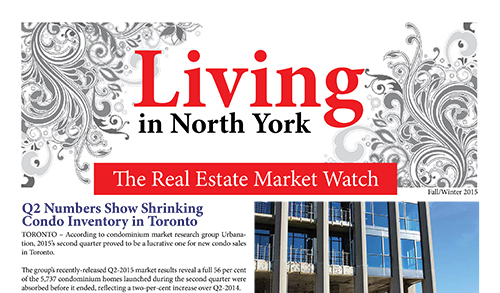 An overview of Toronto's changing 2015 statistics related to condominium inventory. 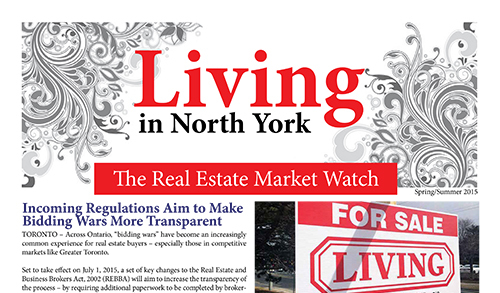 A look at upcoming transparency-focused changes to Ontario's "REBBA 2002" real estate act. 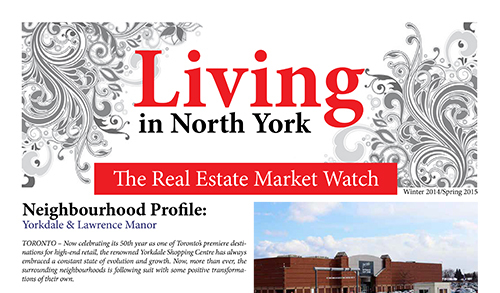 A tour through North York's west-end neighbourhoods of Yorkdale and Lawrence Manor. 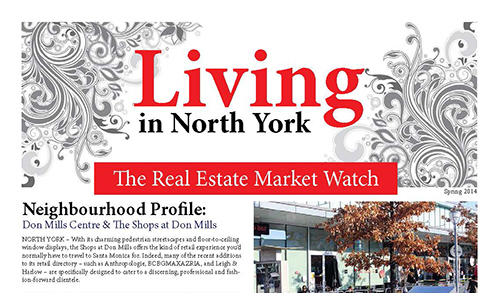 A look at the neighbourhood surrounding North York's iconic Shops on Don Mills. 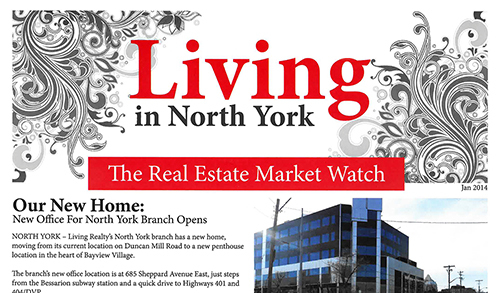 Touring the facilities at the North York branch's new office building on Sheppard Avenue East. 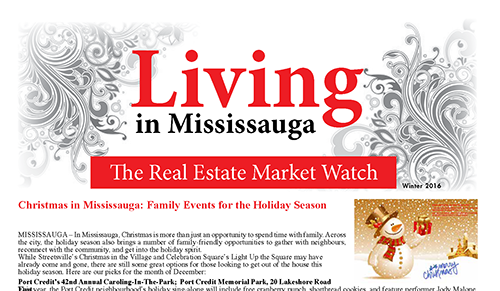 Our guide to the best of Christmas and Holiday activities around Mississauga and Peel Region. 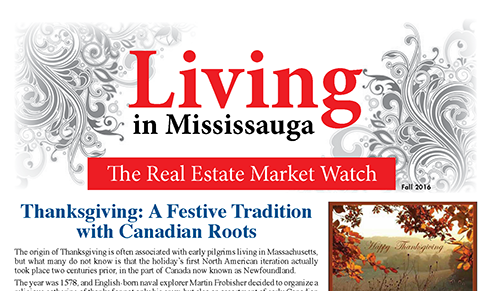 A guide to Thanksgiving in Mississauga, and a look at plans for the site of the former Lakeview generation station. 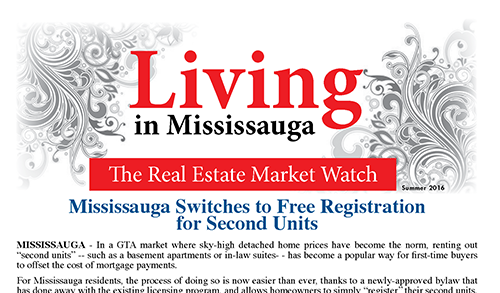 A look at the Mississauga's new legislation to allow free registration for "second units" within the city. 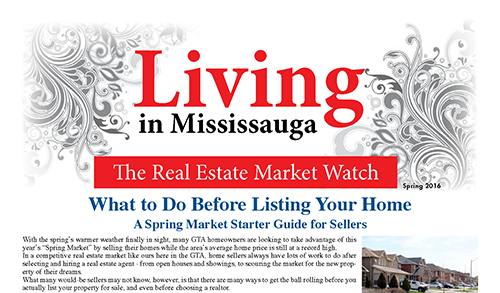 We share our early prep guide to listing your home in time for the GTA's hot "Spring Market." 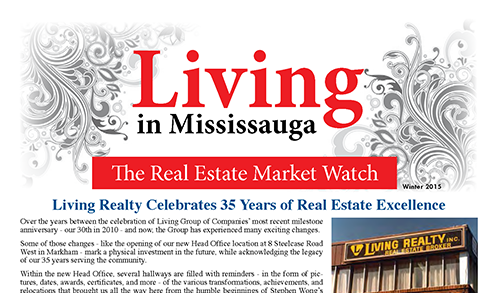 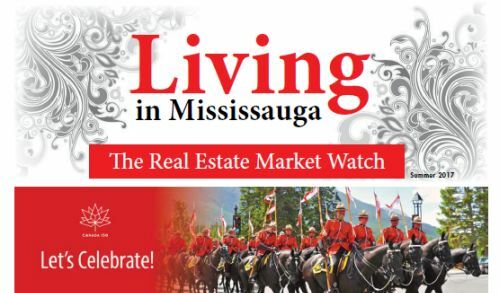 Living Realty turns 35; an overview of Mississauga's plan to reinvent Cooksville. 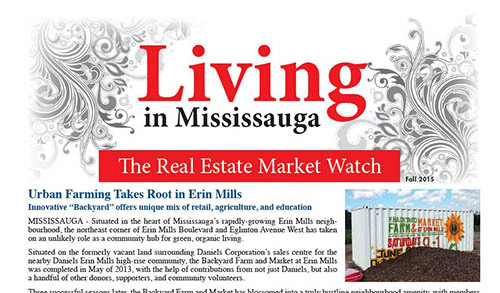 We visit a new urban farming startup near Daniels Erin Mills. 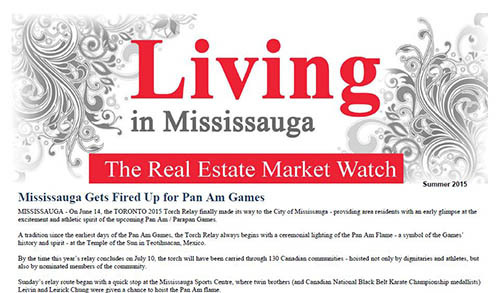 The 2015 Pan Am Games' "Torch Relay" Visits Mississauga. 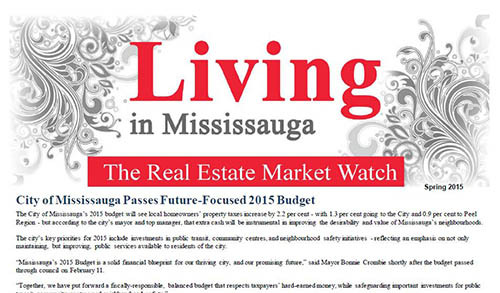 A look at noteworthy local improvement projects built into Mississauga's 2015 budget. 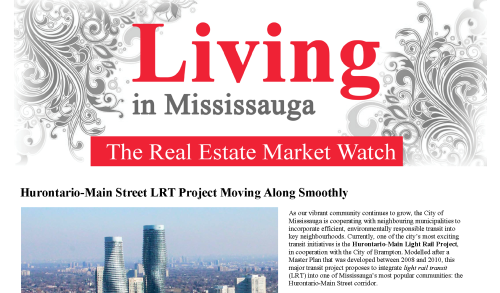 An overview of the newly-completed first phase of Mississauga's Bus Rapid Transit (BRT) system. 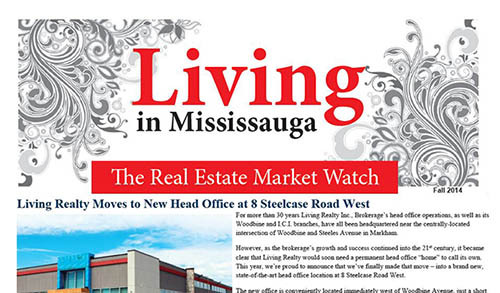 Detailing Living Realty's big move to a brand-new Head Office location. 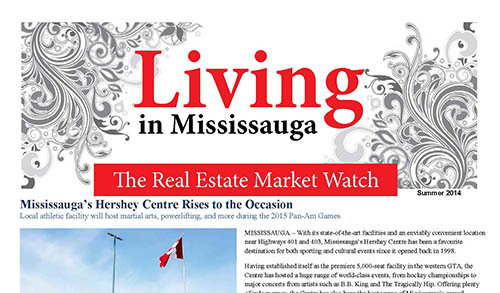 Mississauga's Hershey Centre prepares to become a key venue for Toronto's 2015 Pan Am Games. 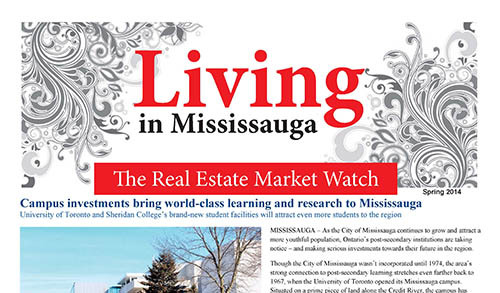 A look at planned upgrades to local university and college campuses. 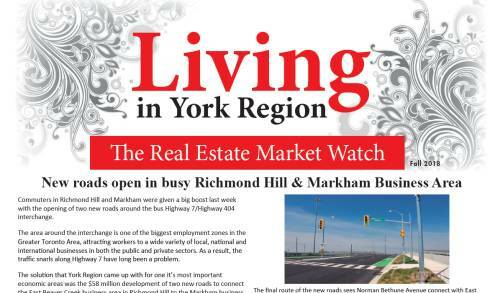 A look at the Hurontario-Main Street LRT Project. 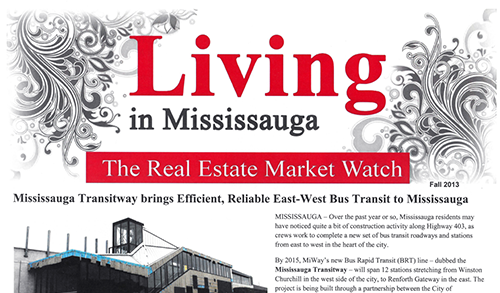 Overview of MiWay rapid transit development. 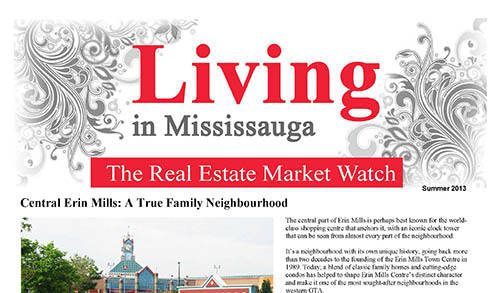 Neighbourhood profile on Central Erin Mills.